We needed a transom window over our patio doors replaced. Ryan at RTN Glass was quick to respond and came to look at the window the next day. He gave a very reasonable quote and was very knowledgable and professional. Ryan and his father replaced the window quickly and cleaned everything well afterward. We would definitely use RTN Glass again. Thank you for the review! It was a pleasure working with you and we hope to see you again soon! 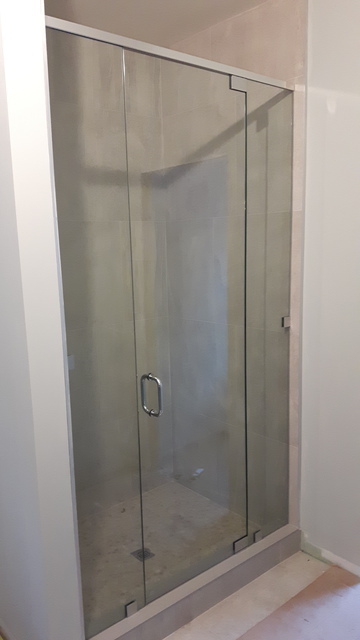 Bill and Ryan did a great job on our custom glass shower door, it was completed on time, the bathroom was left spotless and I would recommend them to everyone!!!! Thanks again we will definitely use them again!!! Thank you for the review Lisa. 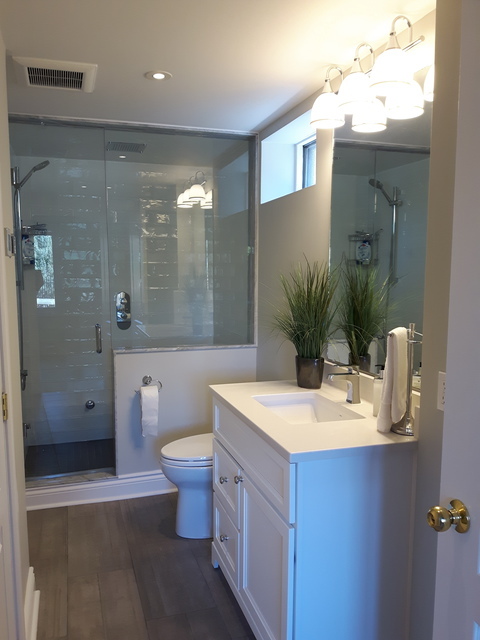 The bathroom turned out great! 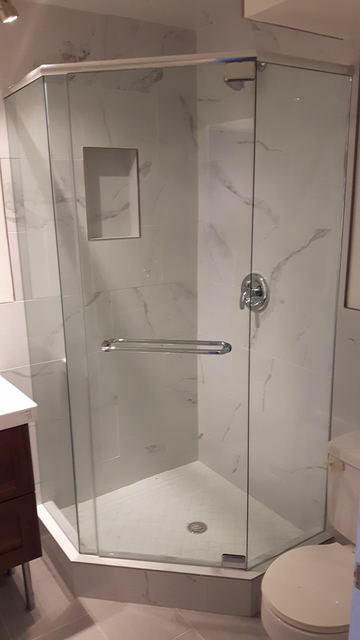 We hope you enjoy the shower for years to come. Outstanding!! On time for both measuring and delivery. Fit and hardware used is excellent. Would recommend them to anyone looking for a job well done. Glad we could be of service! Thanks for the review Paul, it was nice working with you! 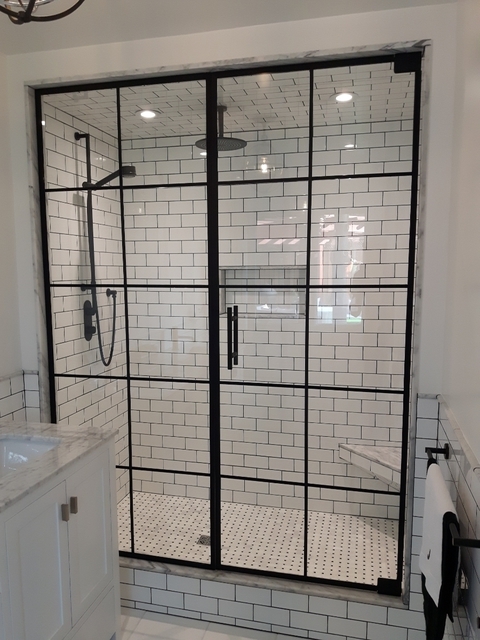 Install a new customed shower gals with customed grid. Thank you for such kind words, John. It was so nice meeting you and Pam. You have a lovley family and we hope to see you again soon! Enjoy the shower! Excellent work and very clean. The job was done on time and in my budget. Thanks Doug, pleasure working with you! Thank you Helen, the bathroom looks beautiful! 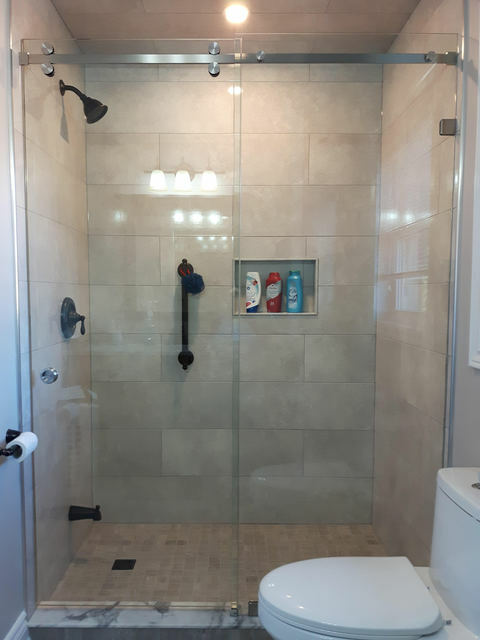 We hope you enjoy your new shower! Absolutely thrilled! The job was done extremely well and the gentlemen doing the work were very personable and professional. High quality workmanship and a great customer-friendly attitude. Highly recommended! Thanks for the review Leo! It was great working with you and we hope you enjoy your shower for years to come! 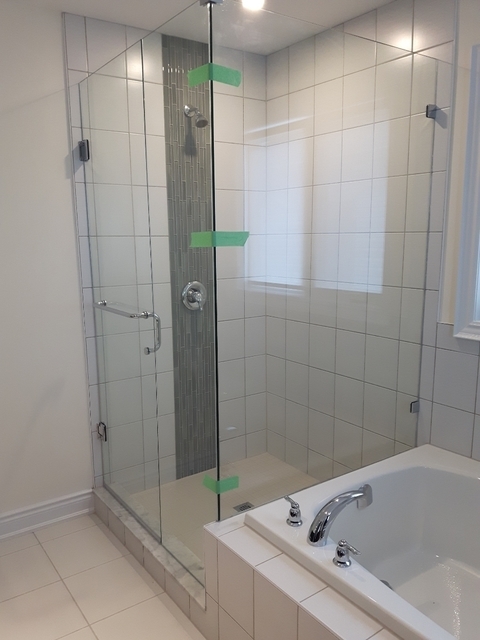 RTN GLASS is a family run business that is dedicated to providing quality products coupled with expert installation. 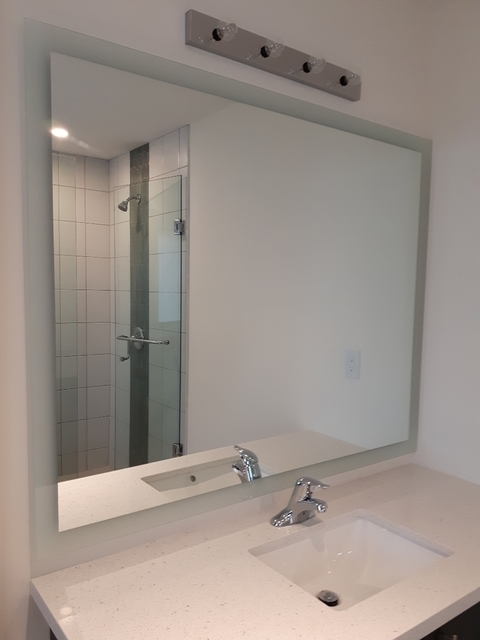 With over twenty years experience, our goal is to make it easy to get the glass and mirror service you need. 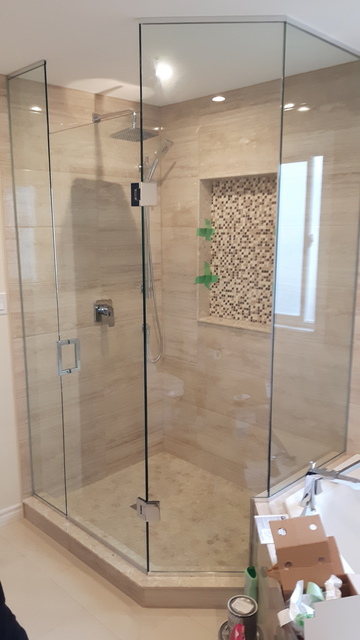 We measure, supply and install and provide full installation and repairs. 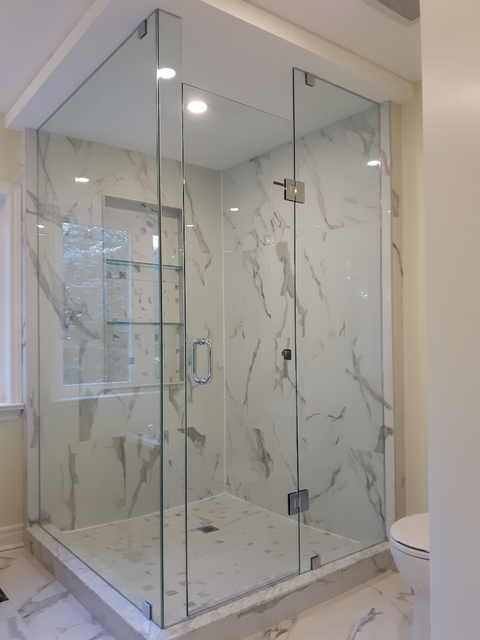 We supply glass for Showers, mirrors, custom glass railings, and table tops. Contact us today to book your appointment.